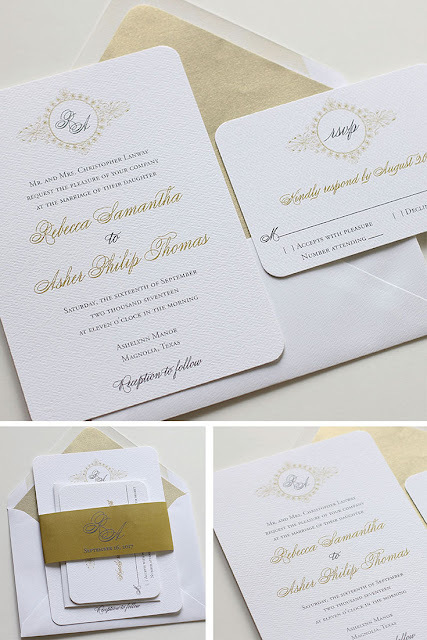 Gold and gray wedding invitations are such a perfect and timeless combination. This sweet set was printed on a crisp white linen stock with rounded edges and an ornate monogram. Perfected by a belly band for the perfect presentation.